If you’re going to be stuck for hours on a layover, you might as well choose an airport that will keep you entertained and pampered. With stunning design, unbelievable amenities and entertainment options, planning your next trip just got a lot easier with these airports. Here’s a look at some of the most luxurious airports in the world. 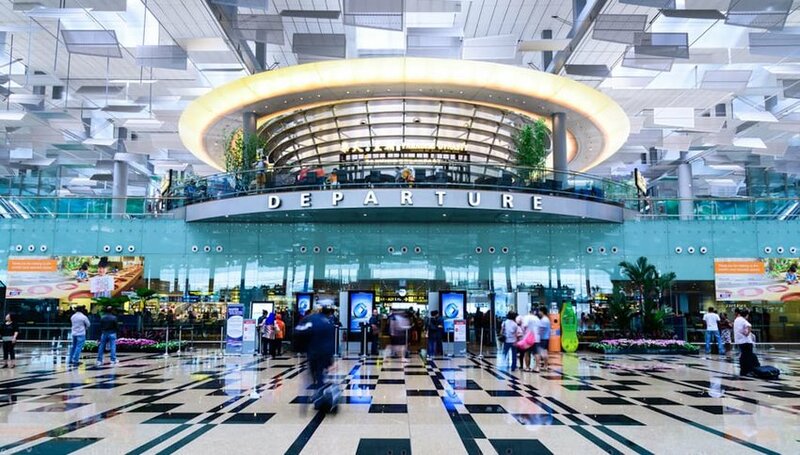 Singapore’s Changi Airport has repeatedly been named the best airport in the world, and it's not difficult to see why. There is no shortage of things to do while you're waiting for your flight. You’ll find a movie theater, three gardens — including a butterfly garden — spas, a wild corkscrew slide and an entertainment deck with game consoles like Xbox. The best part is these amenities are free if you’re a ticketed passenger. There's also plenty of shopping and dining options, and, if you’re on a layover for six or more hours, you can join a quick city tour as well, adding another destination to your list. 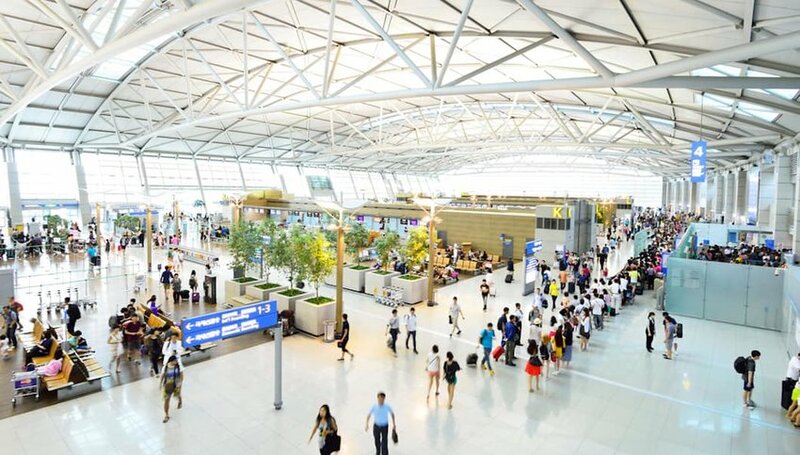 South Korea’s Incheon International is almost a destination in itself. Passengers waiting for their flights can enjoy cultural performances hosted by the Korean Culture Museum, which is also located inside the airport. Travelers can also pass the time at a golf course, spa and sauna, multiple gardens, a casino, and, oh yes, ice skating. Does your regional airport have all that? Didn't think so. The Munich Airport is always looking for new ways to improve the traveling experience and recent airport expansions have added upscale lounges and family-waiting areas. But, what many travelers really enjoy at Munich Airport is the beer garden. Surrounded by chestnut trees, passengers can sip on brew made in the onsite brewery while they wait. If beer isn't your thing, there are around 50 other restaurants and bars where you can spend a layover. Also be sure to check ahead for special events throughout the year. 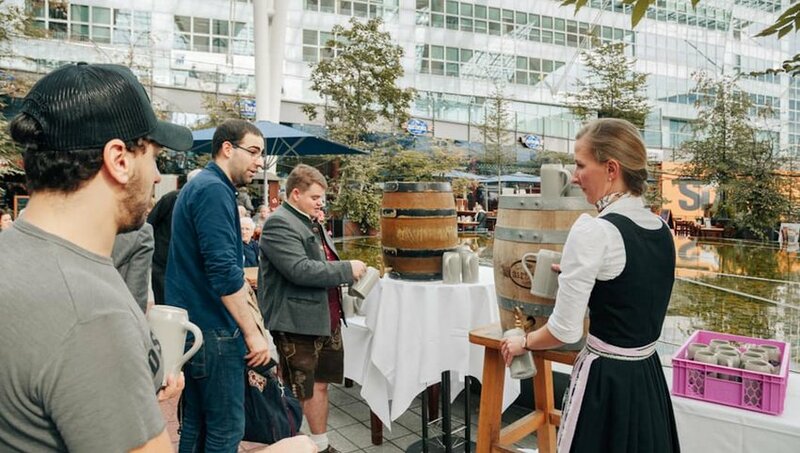 Special events are organized for holidays like Oktoberfest and Christmas, with the latter bringing an ice skating rink and even a Christmas Market to the airport. Hong Kong International Airport is one of the busiest and most popular airports in the world. So, of course it's grown to meet the need. There are a ton of restaurant options, ranging from international fast food to renowned dim sum restaurants. If you’re traveling with little ones, check out the Dreams Come True Education Park in Terminal 2. You’ll also find Hong Kong Disneyland Stores in both terminals where you can purchase a variety of theme park merchandise. Want to visit Disneyland on your layover? 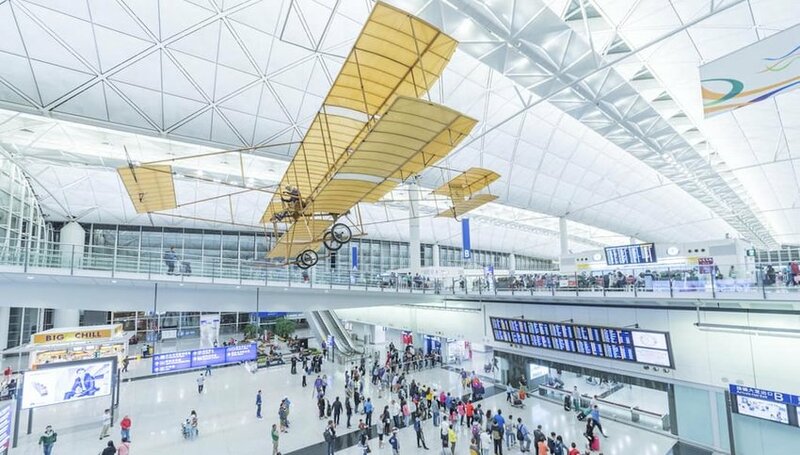 Hong Kong International Airport offers discount train tickets for same day return on the Airport Express train into town if you want to explore the city a little on your layover. Or you can just relax at the airport and catch a movie at the IMAX theater in Terminal 2. 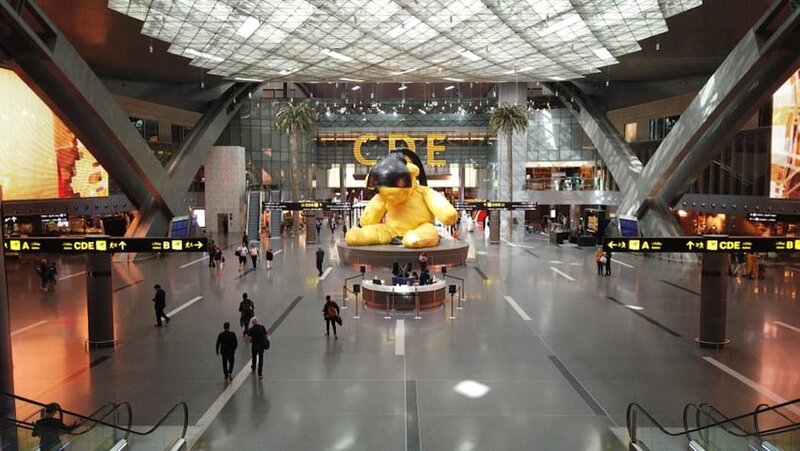 Qatar’s Hamad International Airport is only a few years old but has already grown in traffic, which is not all that surprising. Hamad International Airport features a swimming pool where you can got for a dip before you catch your flight. Get in a workout at the gym, play a game of squash or relax in a hydro-bath tub. If you have little ones, there's a special kids’ room with play areas, refreshments and video games. Don’t miss the various art displays throughout the terminals. “Lamp Bear” from Swiss artist Urs Fischer is the most recognizable, and has become the unofficial mascot of the airport. 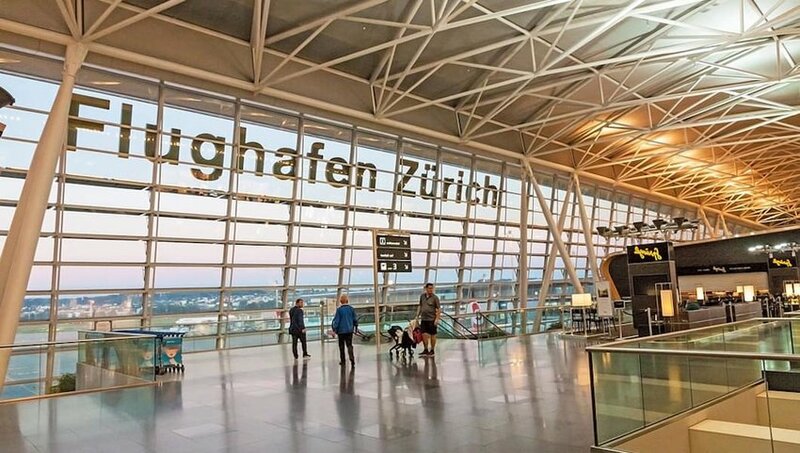 Zurich Airport is not only one of the most luxurious airports, but it’s also one of the healthiest. You can get a workout in at the fitness center, or if you have a long layover you can rent a bicycle or inline skates. You can also arrange a tour to the Swiss Museum of Transport Lucerne nearby. For kids 12 and over, book a flight simulation or a photo tour that will allow you to take photos from exclusive places, like the taxiway or airport runway.